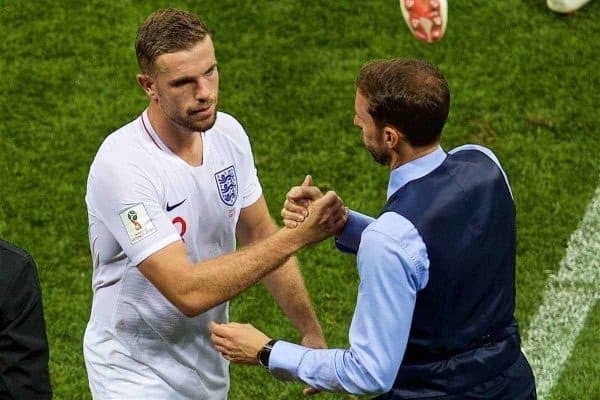 Jordan Henderson has explained his devastation after defeat to Croatia on Wednesday night ended England’s fairytale run to the World Cup semi-finals. The Liverpool captain has started all but one game for the Three Lions in Russia, producing an impressive run of form as Gareth Southgate’s No. 6. He was one of the standouts in their frustrating 2-1 loss after extra time in Moscow, but was forced off on 97 minutes with a hamstring injury, replaced by Eric Dier. Goals from Ivan Perisic and Mario Mandzukic cancelled out the brilliant Kieran Trippier’s free-kick opener, and England are now set to take on Belgium in a third-place playoff on Saturday. “This has been the greatest summer of my life with England. To play in a World Cup is so special. “The support we’ve had has been unbelievable and we just wanted to make everybody so proud. That’s why it hurts so much that we couldn’t get over the line. “I had a tiny hamstring issue from the last game but it was fine to play. But I just felt it a little bit again in the game. “In such a crucial match you can’t carry anyone, so it was probably the right thing to bring me off. “But the pain of defeat is greater than that of my hamstring. My body is not too bad. “Emotionally, it is just devastating to come this far and not quite get over the line. 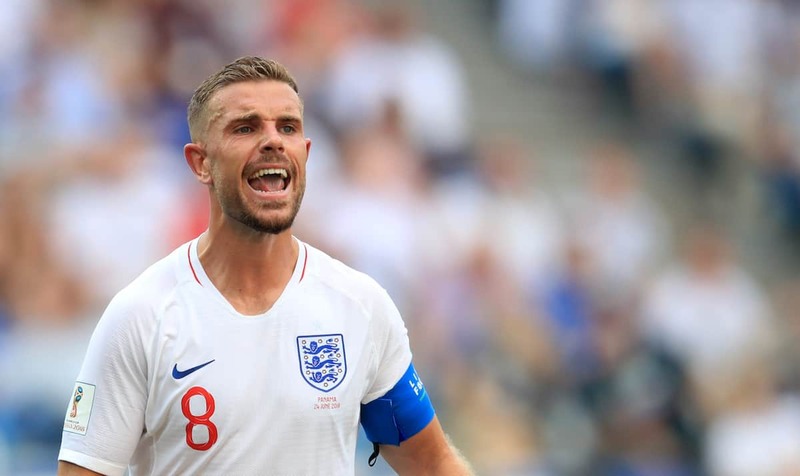 Coming just over six weeks after Liverpool’s miserable defeat to Real Madrid in the Champions League final, this loss will have compounded a campaign of fleeting glory for Henderson. For Trent Alexander-Arnold, who has featured just once for England so far at the tournament, this will have been a vital learning experience, coming so early in his career at just 19. Both Alexander-Arnold and Henderson can set their sights on a key role for England at both Euro 2020 and the next World Cup in Qatar in 2022, with renewed hopes of glory after this summer’s feats. Following Saturday’s dead-rubber against Belgium, the pair will be afforded an extended break and are unlikely to rejoin Jurgen Klopp‘s Liverpool squad until next month. The Reds’ training camp in the south of France is likely to be scheduled for their return, with friendlies against Napoli (August 4) and Torino (August 7) designed to get them up to speed.